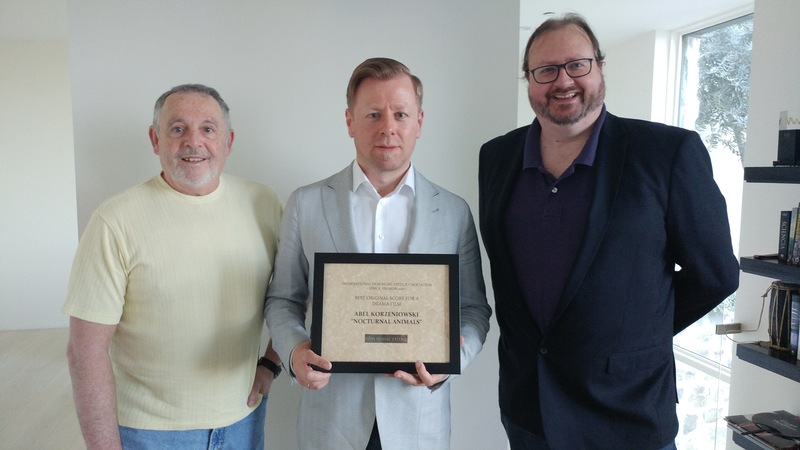 Composer Abel Korzeniowski has been presented with the International Film Music Critics Association Award for Best Original Score for a Drama Film by IFMCA members Jon Broxton and Craig Lysy, for his score for Nocturnal Animals. This is Korzeniowski’s fifth win, from thirteen previous nominations. He won the award for Best Original Score for a Drama Film in 2009 for A Single Man, before winning Score of the Year, Best Original Score for a Drama Film, and being named Composer of the Year following his work on Romeo and Juliet in 2013. 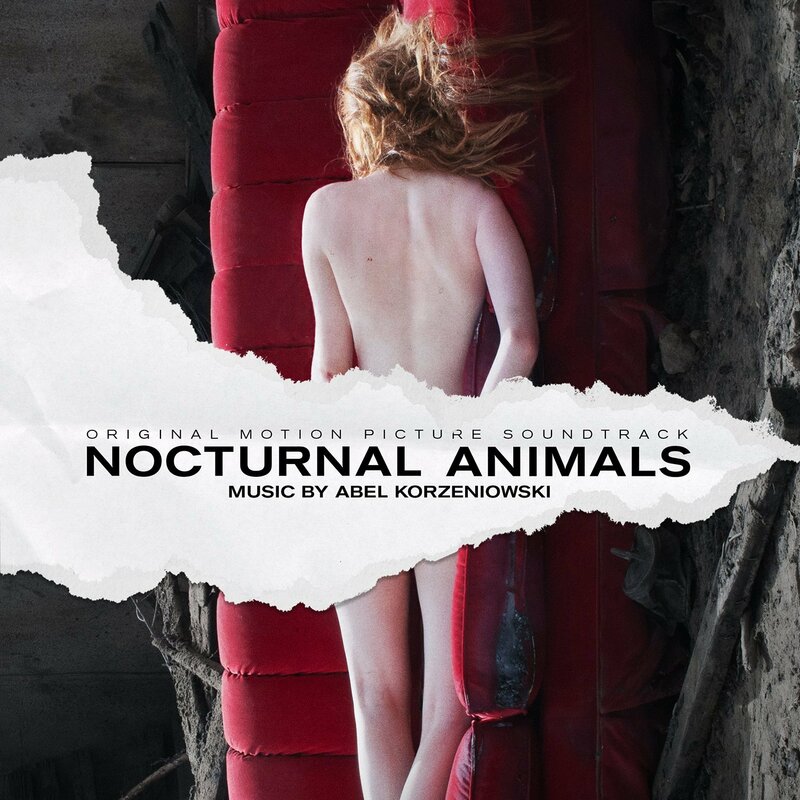 The other nominees in the category were The Handmaiden by Jo-Yeong Wook, High-Rise by Clint Mansell, The Light Between Oceans by Alexandre Desplat, and Moonlight by Nicholas Britell. Nocturnal Animals is directed by fashion designer-turned-filmmaker Tom Ford, his second film after the acclaimed A Single Man. Amy Adams stars as Susan, the owner of an elite Los Angeles art gallery, who is trapped in an increasingly loveless marriage. One day her world is rocked when the manuscript of a soon-to-be-published novel is delivered to her home; the manuscript is from her first husband Edward (Jake Gyllenhaal), is titled ‘Nocturnal Animals,’ and is dedicated ‘for Susan’. It tells the story of Tony Hastings (also Gyllenhaal), who is driving through west Texas with his wife and daughter, and who is forced to undergo an experience of unimaginable horror when they are menaced on the highway by a gang of rednecks led by Ray Marcus (Aaron Taylor-Johnson). As Susan reads, she begins to interpret the story as a metaphor for her failed marriage to Edward, and is forced to come to terms with the consequences of her actions in the past. Korzeniowski was born in Kraków, Poland, in 1972. He studied composition and cello performance, including spending time studying under Krzysztof Penderecki at the Music Academy in Kraków, and began his composing career in his native country, writing film scores, music for theater and several acclaimed classical works. He first came to international prominence in 2004 following his new score for Fritz Lang’s “Metropolis”, a monumental 147-minute composition for an 90-piece orchestra, 60 choir and 2 solo voices ambitiously re-interpreting the silent movie from 1927; this was followed by his first American studio film, the animated sci-fi action film Battle for Terra in 2007. Since then Korzeniowski’s scores have included A Single Man and W.E., both of which earned him Golden Globe nominations, the Polish animated film Copernicus’ Star, the 2013 version of Shakespeare’s Romeo & Juliet, the experimental fantasy film Escape from Tomorrow, and three seasons of the Showtime horror TV series Penny Dreadful, which earned him three Emmy nominations, and a BAFTA Award in 2015. 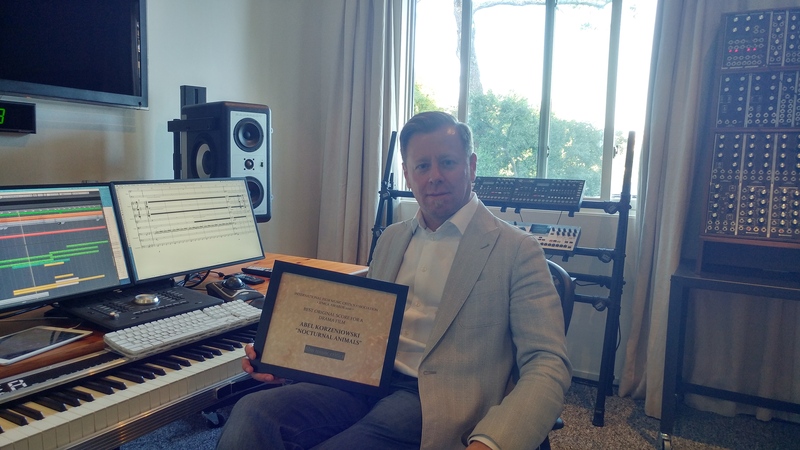 Click here to see Korzeniowski’s acceptance speech video.